University of South Florida starter Winston Wheeler came with the pitch in this April 1989 game but the hitter took him deep. The hitter, University of Florida's Herbert Perry, explained to The South Florida Sun-Sentinel that Wheeler's tendencies resulted in the homer. "It was a changeup," Perry told The Sun-Sentinel. "Coach (Joe) Arnold told me he liked to use a changeup when he got ahead, so I was waiting on it." Wheeler pitched well enough overall at South Florida to turn pro the next year. His professional season, though, turned out to be brief. He played just a single season. 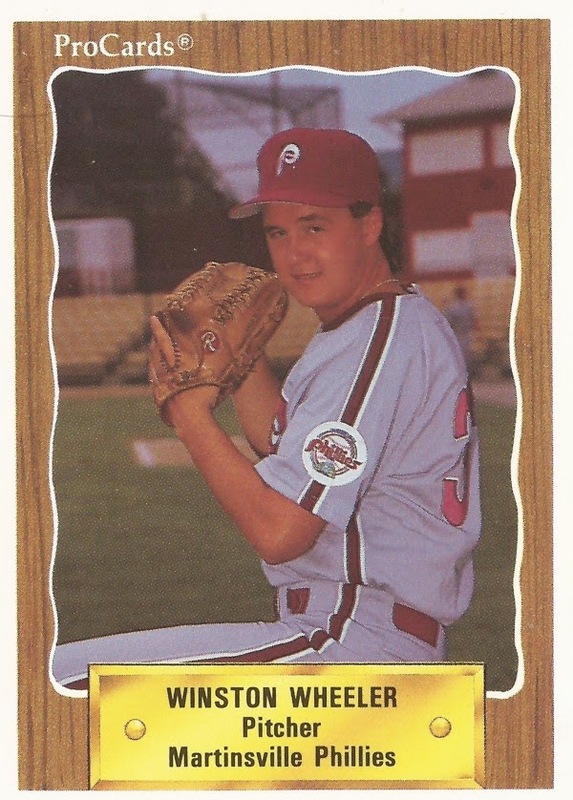 Wheeler's pro career began in 1990, signed by the Phillies as an undrafted free agent out of South Florida. Over his two seasons there, he had a 3.00 ERA, good for sixth all time at the school. He relieved in 73 games, good for sixth all-time. With the Phillies, Wheeler was assigned to rookie Martinsville. In 21 relief outings, Wheeler pickerd up one win and ended with an ERA of 4.11. It was his only season as a pro.